Violin virtuoso K Ishibashi, better known by his pseudonym Kishi Bashi, has been earning rave reviews for his latest album, 2016’s Sonderlust. The inventive and raw record showcases the orchestral pop sound he’s known for, with more lyrical maturity and incredibly complex soundscapes. He’s bringing his impressive live show to The Basement East on April 7 with an opening set from charismatic indie folk outfit Tall Tall Trees. Tickets are still available here, but we’re also giving away a pair of tickets to one lucky fan! Read on for more info on the great lineup and for your chance to win. Born in Seattle, Washington and raised in Norfolk, Virginia, Kaoru Ishibashi (better known as Kishi Bashi) was born into a family of creative intellectuals. His parents were both professors, and helped guide him into studying film scoring at Berklee College of Music. That was where he honed his talents on the violin, picking up touring gigs with artists like Regina Spektor and of Montreal. It wasn’t until 2011 that Ishibashi recorded his own full-length solo album 151a. The record earned rave reviews for its masterful instrumentation and unique mix of classical and modern, experimental musical elements. He quickly followed its success with Lighght, which featured even more distortion and experimentation with his violin sequences. After relentless touring and a new focus on his sound, Kishi Bashi released his third album in 2016. Sonderlust is an evolved and intricately weaved soundscape that uses rock, folk and classical elements to take on the more difficult and complicated parts of human existence and relationships. His live show has been hailed for its mesmerizing qualities, so make sure you see it in this intimate setting at The Basement East. Mike Savino is the man (and the beard) behind NYC’s indie folk phenom Tall Tall Trees. His self-titled debut record dropped in 2009, and since then, he’s been relentlessly touring and evolving his own brand of clever and unconventional folk music. He regularly uses his homemade instrument, the Banjotron 5000, which adds drum rhythms, effects and a whole lot of character to his live shows. If you think a one-man-band means a boring set of slow acoustic tunes, you’ve never seen Tall Tall Trees. Make sure you get there early to experience it all for yourself. Enter to win tickets by filling out the form below. Must be 18+ to attend. After you have entered, there will be the option to share this contest via social media. For each person that you refer to the contest, you will receive an additional entry. If you experience any trouble with the contest widget, or have any questions, feel free to email us at [email protected]. Winner will be announced Wednesday, April 5 at 12 p.m. CDT, and will receive one pair of tickets. Good luck! Win Tix to Kishi Bashi at The Basement East! 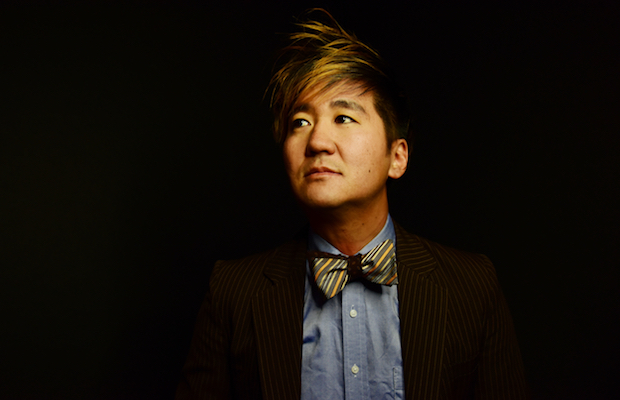 Kishi Bashi and Tall Tall Trees will perform Friday, April 7 at The Basement East. The show is 18+, begins at 9 p.m. (doors at 8 p.m.), and tickets are available to purchase for $16.